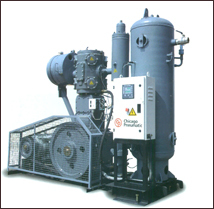 • Chicago Pneumatic oil free compression chamber ensures your demand of 100% oil-free compressed air is met to the fullest. • Our oil-free cylinders with PTFE rings and extra-long distance guarantees oil free air for your critical process. 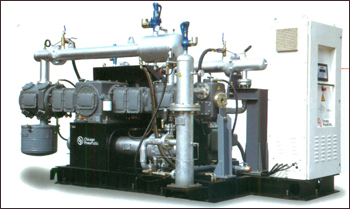 The professionally designed Star-Delta starter panel integrated on the compressor skid. Option of Integrated VSD Panel ensures what you pay for what you use. The design provides easy access to component for trouble free operations. • Totally integrated package with our time time tested oil free piston technology comes as plug & play unit. • Designed for 24x7 Industrial Applications, meets your continuous need of compressed Air. Intergrated Timer based Auto drain eliminates risk of moisture content in compressed air. Effective moisture separation. 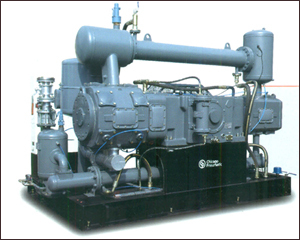 Committed to provide Quality Air to your process & applications. The energy efficient TEFC design motor is designed for 50 Deg C Ambient condition with IP 55 protection. These motors are rated for continuous duty and low speed design for longer life. Intelligent 3 part belt guard design ensures easy assemble and dismantle process. 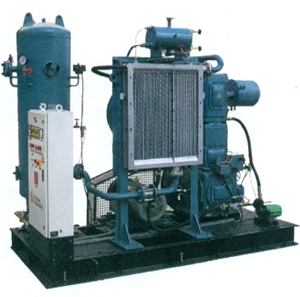 • All packaged versions include compressor, motor, after cooler, control panel suitably mounted on a deck, Air dryer & Receiver are optional supplies. 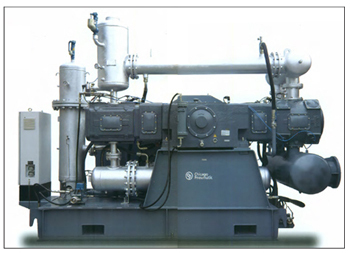 • Pressure can be set between 5 to 10 bar g for VSD models (*) FAD and Power Tolerance as per BS-1571 latest edition.